Rest until the pain resolves and you are feeling better. For most people with plantar fasciitis it is very difficult to rest as daily routine demands using their feet during the day for work or other activities. By using the painful foot you keep on hurting the plantar fascia, harming the foot and increasing inflammation. Rest as much as you can, reduce unnecessary activities and additional stress on the fascia. Cold therapy like applying ice to the bottom of your foot helps reduce pain and inflammation. Cold therapy can be used all the time until symptoms have resolved. Some patients prefer to roll their foot over an iced cold drink can or bottle taken out of the freezer. Physical therapy Exercises are good plantar fasciitis treatment. Stretching and other physical therapy measures may be used to provide relief. Stretching the plantar fascia is reported in scientific studies to be a very effective treatment technique. Gait analysis will determine if you overpronate or oversupinate. An expert may perform a test of the way you stand and walk to see if you step in a way that puts more stress on the plantar fascia. You can try to change the way you walk and stand according to the experts recommendation as part of your treatment. Exercise the foot muscles to make the muscles stronger. One good exercise is grabbing and lifting up a towel or marbles using your toes. You can do the same exercise without a towel as though you are grasping something with the toes of each foot. Another good exercise is walking as tall as you can on your toes and on the balls of your feet. Stretching the plantar fascia and the calf muscles several times a day is an important part of the treatment and prevention. There are many stretching exercises for the plantar fascia and the calf muscles that you can find. Long term treatment should not focus in reduction of pain and inflammation alone. This is a passive short term relief treatment. Stretching exercises results are longer and more flexible foot movement which can prevent another fascia injury. Plantar fasciitis taping technique can assist the foot getting rest and help it from getting injured again. Athletic tape is applied in strips on the skin on the bottom of the foot supporting the plantar fascia. The tape restricts the movement of the foot so the fascia can not be injured again. Taping supports the foot by putting the tired foot muscles and tendons in a physiologically more relaxed position. A night splint is worn during sleep. It holds the calf muscles and plantar fascia in a stretched position. Night splint treatment lets the fascia heal in a stretched position so it will not get bruised again when waking up and stretching it again while walking. Orthotics or inserts that your doctor may prescribe or custom made arch supports (orthotics) plantar fascia orthotic. help to distribute the pressure on your feet more evenly. Arch Support gives a little raise to the arch assisting the plantar fascia. 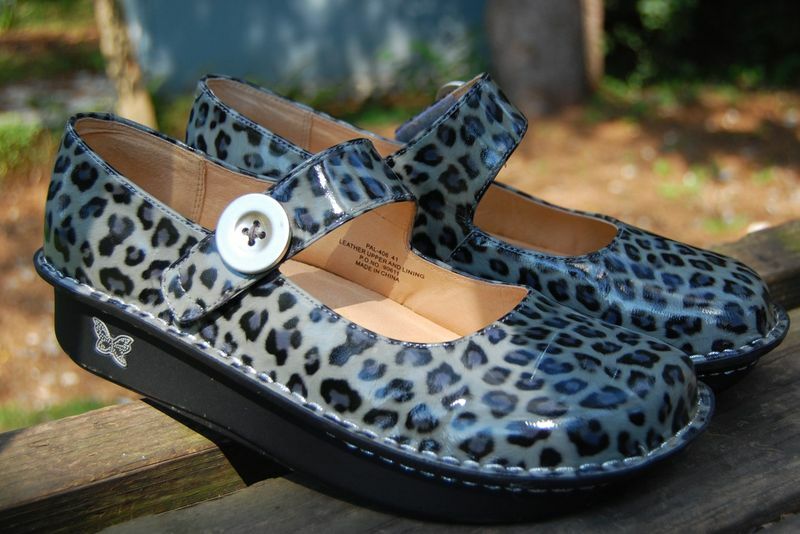 There are also over-the-counter inserts that are used for arch support and heel cushioning. Heel cups and cradles provide extra comfort and cushion the heel. They reduce shock placed on the foot during everyday activities like Shock absorbers. Anti-inflammatory or Pain medication that a clinician may recommend can be a plantar fasciitis treatment. Non-steroidal anti-inflammatory drugs such as ibuprofen can reduce swelling and relieve pain. However, these medications may have many side effects and it is important to consider the potential risks and benefits. These medications may relieve the pain and inflammation but will not cure the fascia. Lose weight as much as you can. Extra weight puts more stress on your plantar fascia. Platelet Rich Plasma or PRP therapy, is a procedure which involves an injection of special plasma, made out of the patients own blood, to the injured area. Platelets are special blood components that have a major role in the body ability to heal itself. Blood is taken from the patient and separated into its components. The platelet rich part of the blood is than taken and injected into the injured area - in our case to the bottom of the foot. The special plasma helps the foot recovery process. The procedure is actually maximizing the body's natural healing response of the treated area. Extracorporeal shock wave therapy is a procedure which sound waves are targeted at the area of heel pain to encourage healing. It is mostly used for chronic plantar fasciitis which does not respond to conservative treatments. This procedure has many possible side effects like bruising, swelling, pain or numbness and has not proved to be consistently effective. Corticosteroid injection (or cortisone shots) into the painful area may provide relief in severe cases. This kind of medication is very efficient in inflammation reduction. Corticosteroid injections usually provide short-term relief from plantar fasciitis pain. Symptom relief from the corticosteroid injection lasts for 3 to 6 weeks, but the effect often deteriorates and symptoms return. Botox Injections (botulinum toxin) are used to relieve the pain of plantar fasciitis, assist foot function recovery and the ability to walk better. Although the use of Botox injections as heel pain treatment is relatively new, there are a number of medical studies that show significant good results. When the foot moves, the plantar fascia stretches and contracts. 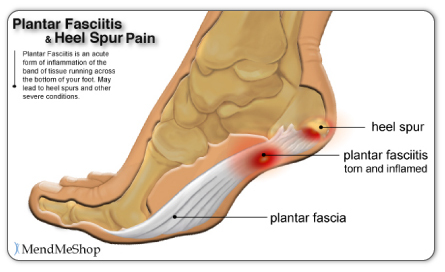 Plantar fasciitis is caused by the repetitive overstretching of the plantar fascia. If the tension on the plantar fascia is too great, this overstretching causes small tears in the plantar fascia. This in turn causes the plantar fascia to become inflamed and painful. Factors that contribute to the development of plantar fasciitis include having very high arches or flat feet, gender, while anyone can develop plantar fasciitis, it tends to occur more commonly in women, exercises such as running, walking and dancing, particularly if the calf muscles are tight. Activities or occupations that involve walking or standing for long periods of time, particularly on hard surfaces, wearing high heeled shoes or shoes that do not offer adequate arch support and cushioning, being overweight, additional weight increases the tension on the plantar fascia, poor biomechanics, extra tension is placed on the plantar fascia if weight is not spread evenly when standing, walking or running. Some cases of plantar fasciitis may be linked to underlying diseases that cause arthritis, such as ankylosing spondylitis. Achilles tendonitis is inflammation and tendonosis is degeneration and irregular healing of the achilles tendon. The achilles tendon is the large tendon located in the back of the leg that inserts into the heel. The pain caused by achilles tendonitis/osis can develop gradually without a history of trauma. The pain can be a shooting pain, burning pain, or even an extremely piercing pain. Achilles tendonitis/osis should not be left untreated due to the danger that the tendon can become weak and rupture requiring surgery. Achilles tendinitis usually results from overuse and not a specific injury or trauma. When the body is subject to repetitive stress, the Achilles tendon is more prone to become inflamed. Other factors may cause Achilles tendinitis, such as, Sudden increase in physical activity, which can be related to distance, speed or hills, without giving yourself adequate time to adjust to the heightened activity. With running up hills, the Achilles tendon has to stretch more for each stride, which creates rapid fatigue. Inadequate footwear or training surface. High heels may cause a problem, because the Achilles tendon and calf muscles are shortened. While exercising in flat, athletic shoes, the tendon is then stretched beyond its normal range, putting abnormal strain on the tendon. Tight calf muscles which gives the foot a decreased range of motion. The strained calf muscles may also put extra strain on the Achilles tendon. Bone spur where the Achilles tendon attaches to the heel bone, aggravating the tendon and causing pain. Supportive shoes and orthotics. Pain from insertional Achilles tendinitis is often helped by certain shoes, as well as orthotic devices. For example, shoes that are softer at the back of the heel can reduce irritation of the tendon. In addition, heel lifts can take some strain off the tendon. Heel lifts are also very helpful for patients with insertional tendinitis because they can move the heel away from the back of the shoe, where rubbing can occur. They also take some strain off the tendon. 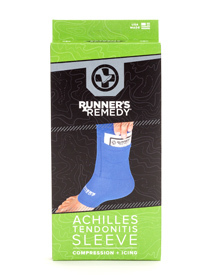 Like a heel lift, a silicone Achilles sleeve can reduce irritation from the back of a shoe. If your pain is severe, your doctor may recommend a walking boot for a short time. This gives the tendon a chance to rest before any therapy is begun. Extended use of a boot is discouraged, though, because it can weaken your calf muscle. Extracorporeal shockwave therapy (ESWT). During this procedure, high-energy shockwave impulses stimulate the healing process in damaged tendon tissue. ESWT has not shown consistent results and, therefore, is not commonly performed. ESWT is noninvasive-it does not require a surgical incision. Because of the minimal risk involved, ESWT is sometimes tried before surgery is considered.